For the Royalton Community Garden, Girl Scouts were approached by Royalton Mayor Christy Powers to start a project that the youth in their community could take part in. 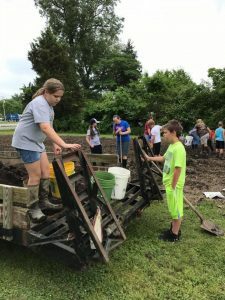 Jacquelyn Walter and Cara Wilson enlisted local youth and planned, planted, and maintained a community garden. Through working on this project the girls found that they were capable leaders and enjoyed working in the outdoors. 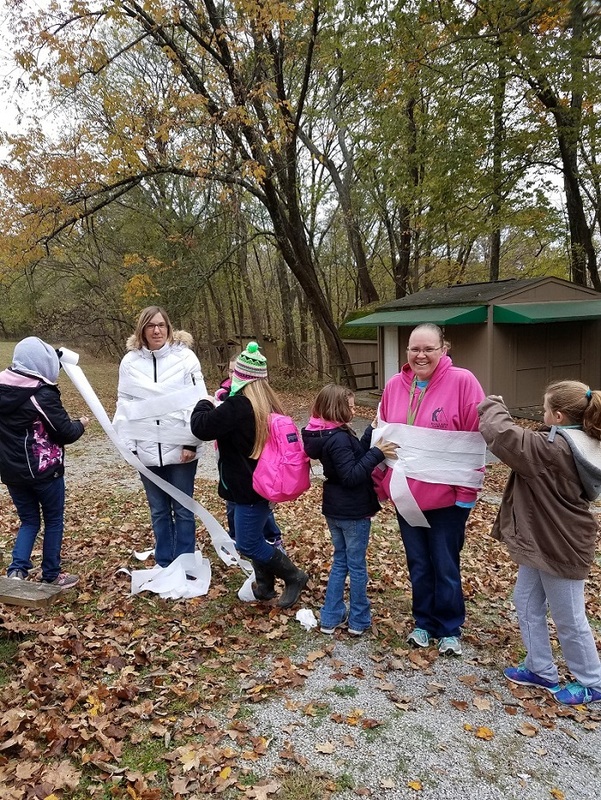 For the Marion project, the Girl Scouts of Southern Illinois Troop #8893 hosted a fall festival carnival for younger children to support the Lighthouse Shelter in Marion, Illinois. The Lighthouse Shelter is a homeless shelter in Marion. During the Spring of 2017, the Lighthouse Shelter suffered from flooding. The Girl Scout Troop #8893 had attendees to the festival brought items to donate to the Lighthouse Shelter. Sponsored by the Serve Illinois Commission, each jurisdiction will receive a plaque and road sign to display in its community. Presented continuously from 1983 to 2014 and then 2017 to present, the Governor’s Hometown Award​s (GHTA) program gives formal recognition to those who contributed to projects that improved their community’s quality of life. These projects are sponsored by local units of government which have strong volunteer support, meet a need, and make a definitive impact, thereby generating a positive outcome in the community and by extension, the state.